Bangalore-based Postdot Technologies Pvt. 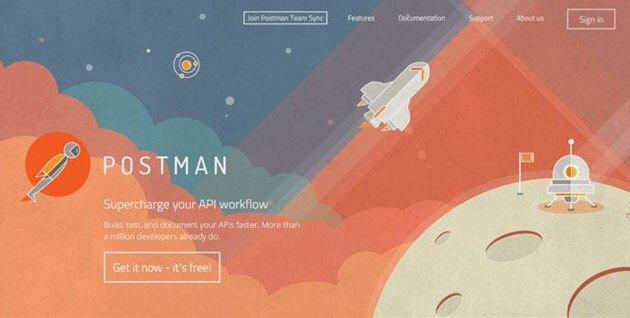 Ltd, which runs the API development platform Postman, is said to have raised $1 million from Nexus Venture Partners. API refers to a set of routines, protocols, and tools for building software applications. Postman was founded by Abhinav Asthana along with Ankit Sobti and Abhijit Kane in September 2013. Asthana was an intern at Yahoo and later ran a panoramic photo app TeleportMe before launching Postman. Sobti is an ex- employee of Adobe while Kane had worked with Walmart Labs earlier. The company helps developers deploy apps quickly by using its API Development platform, which helps in developing APIs without breakage and miscommunication. Nexus Venture Partners is an India-focused venture capital firm with over 50 investments to its credit. Postman's service is currently available as a Chrome app to over 1.5 million developers. Of this, over 800,000 are active users, the Techcrunch report said, quoting Asthana. Over half of its users come from the US. The company is keen to establish an office in San Francisco this year. Recently, Nexus Venture Partners participated in fund raising rounds at Gurgaon-based e-commerce logistics firm SSN Logistics Pvt. Ltd ( which operates under the brand Delhivery) and digital security firm Uniken.